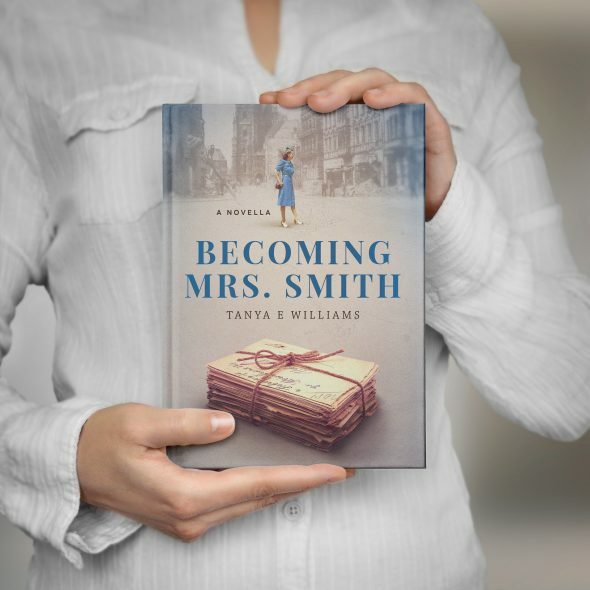 Once a full-time small business owner in Surrey, Tanya E. Williams is now a published author, marking her fiction debut with a period piece called Becoming Mrs Smith. The novella follows the life of a woman growing up in smalltown America before the second World War, beginning with her fight to survive scarlet fever as a child and continuing into the protagonist’s burgeoning adulthood. When her husband hopeful, John Smith, goes away to fight in the war, she struggles through the realities of staying at home while the men fight on the battlefield. It’s a romance and coming-of-age story deeply entrenched in its setting, and so far, it has received stellar reviews both from the community and beyond. In addition, Williams’ novel has attracted the attention of the Kwantlen Pageturners, a student book club at KPU which the author says may soon invite her to the campus for a reading. If not, they may end up reading the novella as a group. As she has watched veterans from WWII grow older and pass away, Williams felt the need to document and pay homage to North American history. As a prairie girl, she has always been infatuated with the intricacies of farm life, harsh winters, and tiny towns. As a researcher putting together the plot for her first novel, she was intrigued by weather data from the time that showed how populations changed their lives to suit the weather. All of these passions can be found in Becoming Mrs. Smith and its setting, Cedar Springs, which the author based off of Sioux Falls in South Dakota. Above all else, Williams wanted to explore what it was like to experience the day-to-day life of a woman in the ‘40s left at home and without any means of contacting her loved ones who left to participate in one of the most disastrous wars ever waged. The novella emphasizes the importance of having the choice to direct your own life. That idea is one that Williams hope will resonate with KPU students who might feel misguided or powerless as they navigate their burgeoning adulthoods and are faced with difficult decisions to make. Becoming Mrs. Smith is the first in what Williams anticipates will be a three-book series. This novel is written from the perspective of the aforementioned protagonist, Violet. The second will be titled Stealing Mr. Smith, which revolves around a woman named Bernice. The final book in the series is A Man Called Smith, which puts the viewers into the shoes of the man who Violet and Bernice loved throughout the first two stories. The next book will be likely be released later this year and, like Becoming Mrs. Smith, will be available on Amazon.